NOTICE! Expect 2-3 weeks shipping time during the months of November and december. Thank you so much for your interest in my work! If you're checking out this page on my shipping policies, that probably means you're looking to collect some of my work, and I'm very grateful that my art speaks to you. Below is some helpful information about how and when I ship artwork both in the United States and abroad. If you have any further questions, send an email to info@FleetingStates.com Expect to hear back from either myself or my assistant, Brianna Ross. We make everything in-house. We are a small team of artists and creators. We try to keep a good stock of prints in inventory, but often times we are creating your order for you on demand. We make most of these to order, which means we need time to print, glaze, stretch and ship your art. If you purchase a glowing piece, I may need additional time to paint it if I don't already have it in stock. Please expect a 2- 3 week delivery time. If you need your item sooner, please contact me to set up expedited shipping. If I have your item in stock, it will arrive in 1 --2 weeks. 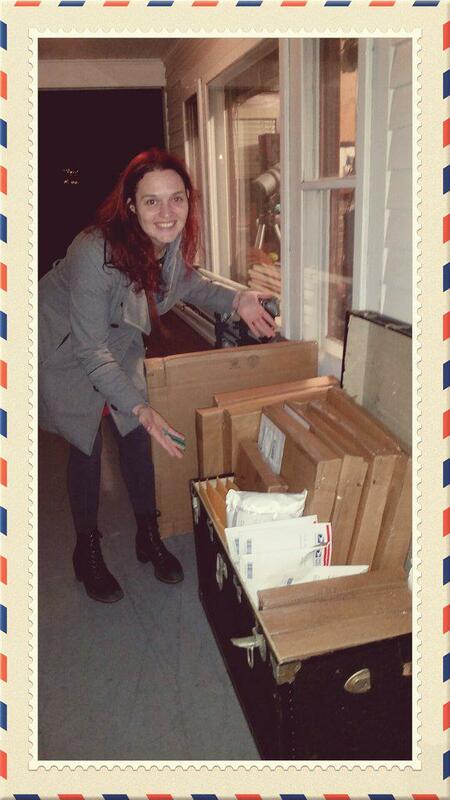 All artwork arrives signed by Sienna. No payment receipt is included with the package, so don't worry about your giftees seeing how much you spent on them. If anything happen to the art in transit, contact us and we will remedy the situation as quickly as possible. We ship priority mail weekly through USPS. Over sized pieces are shipped via UPS. Each is handled with care, and every piece of art that goes out includes insurance. You will receive a tracking number through the email you provide. Limited Edition prints come with a certificate of authenticity and a magnifying glass. If you need rushed delivery or special handling instructions, please contact us. To save on shipping, you can choose to have your canvas print mailed in a tube. Email info@FleetingStates.com to set that up. International orders should expect an additional week delivery time. Customs fees may apply. We offer the option to pick up your order if you are local. Simply use the coupon code PICKUP in the checkout to remove shipping and handling, and one of us will contact you to schedule a pick up time either at Sienna's home studio or at the Portland Saturday Market.